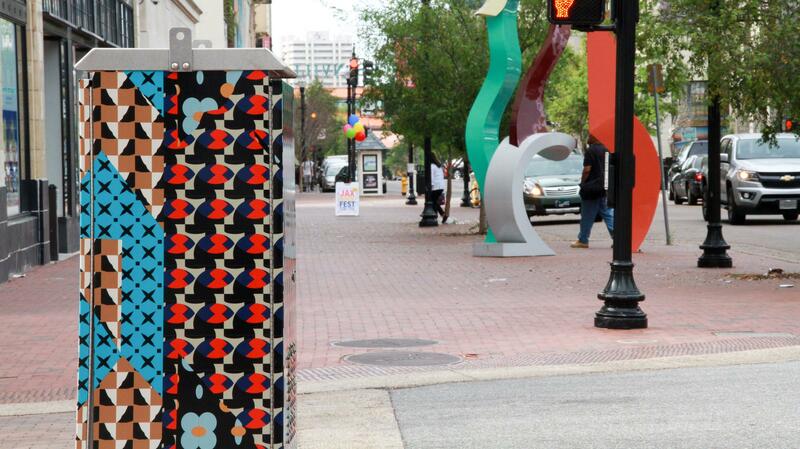 A signal box was decorated Michelle Weinberg of Miami next to Hemming Park in Phase 1 of Art in Public Places. This Thursday is the deadline for artists to apply to decorate part of downtown Jacksonville. The Downtown Investment Authority is calling for artists from across the U.S. to submit portfolios and short biographies — they’re not asking for project proposals, just for artists to introduce themselves and their previous work. Mason Martin, project manager of the Art in Public Places program with the Cultural Council of Greater Jacksonville, says a panel will select which artists will meet with the public this July as they plan specific pieces. The area where the Main Street Bridge off ramp meets Bay Street is the focus for Phase 2 of Art in Public Places. “We’re really looking for artists who are willing to think outside the box and who are willing to incorporate newer technologies — especially sources of energy — into their projects,” she said. 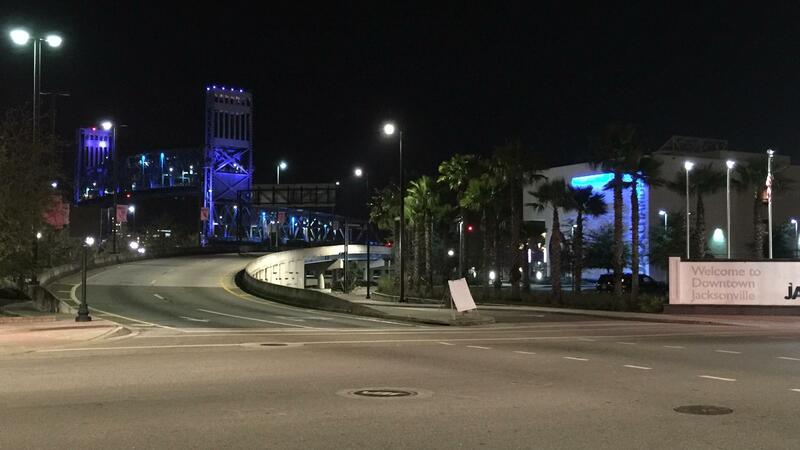 Mason said JEA will be helping artists to use lighting — potentially solar — as part of one project meant to energize the area where Bay Street meets the Main Street Bridge. The entire phase of public art installation will be focused on the Bay Street area, from Main Street to where The Elbow entertainment district intersects with the sports and entertainment district to the east, she said. Martin said the traffic signal boxes offer the greatest opportunity for those who may not yet think of themselves as public artists. Because a vinyl fabricator will do the physical wrapping, she said, the artist needs only to provide an image that’s transferrable — whether it’s graphic design, photography or even a photo of a knitted project. 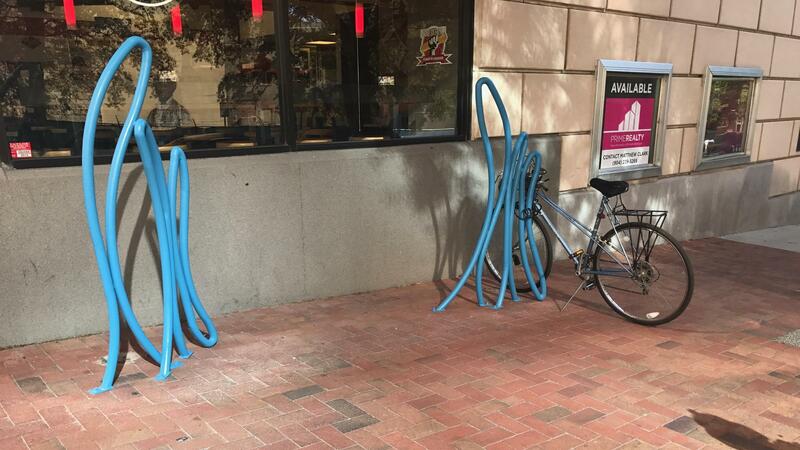 D. Lance Vickery of Jacksonville Beach created these bike racks on Laura Street during Phase 1 of Art in Public Places. “So we’re really looking forward to that being a gateway category for public artists,” Martin said. The deadline to apply is 1:59 a.m. Friday, May 11, in Jacksonville (That’s 11:59 p.m. Thursday night in Mountain Standard Time because the call-for-artists website in administered in Denver). Artists or artist teams can apply for single categories or for a combo of categories. The money being offered for all the categories is a total of $104,718. Contact Mason Martin at mason@culturalcouncil.org with questions about the application process. Updated: This story was updated with the correct date of the entry deadline. We regret the error. The Downtown Investment Authority is starting off Public Art Week with a tour Tuesday of the 34 public art pieces recently added downtown. Jacksonville residents can now take a virtual tour of art around the city through an interactive online map. It was created by the Cultural Council of Greater Jacksonville and there’s more to come. On Monday afternoon downtown, people were walking to and from their cars parked in the Water Street parking garage. 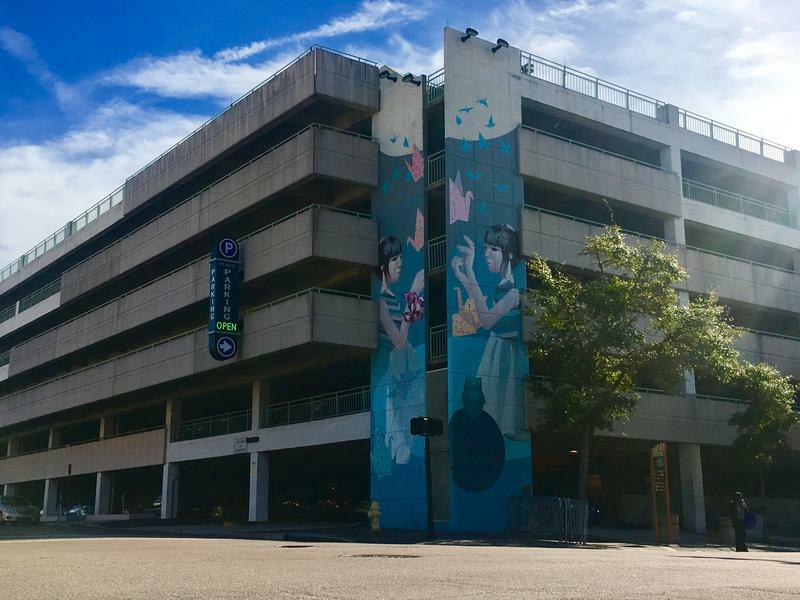 The six-level building has bare walls, but that’s expected to change says Cultural Council of Greater Jacksonville Executive Director Tony Allegretti. “It will likely be a combination of mural and some 3-D elements,” Allegretti said. The city of Jacksonville is undertaking one of its largest-ever public art projects at the county courthouse downtown. The budget for adorning the new courthouse is nearly $900,000.